This NASA image of the day shows the star-forming region called W5. 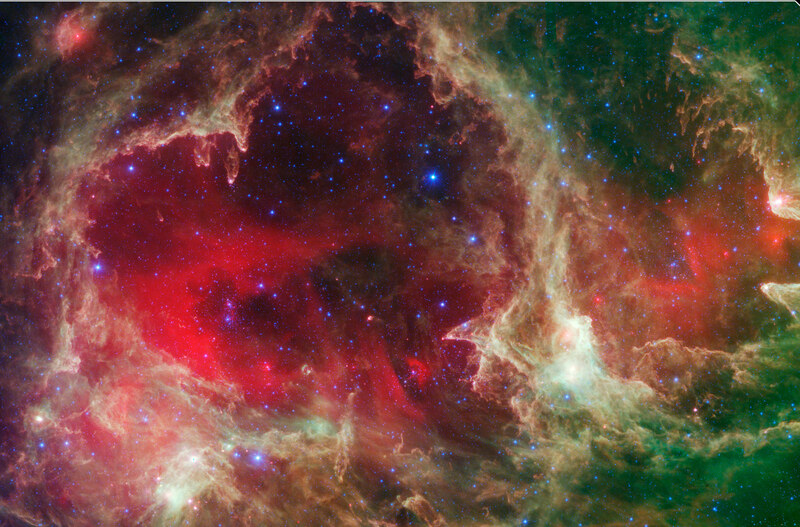 Generations of stars can be seen in this infrared portrait from NASA’s Spitzer Space Telescope. In this wispy star-forming region, called W5, the oldest stars can be seen as blue dots in the centers of the two hollow cavities (other blue dots are background and foreground stars not associated with the region). Younger stars line the rims of the cavities, and some can be seen as pink dots at the tips of the elephant-trunk-like pillars. The white knotty areas are where the youngest stars are forming. Red shows heated dust that pervades the region’s cavities, while green highlights dense clouds. 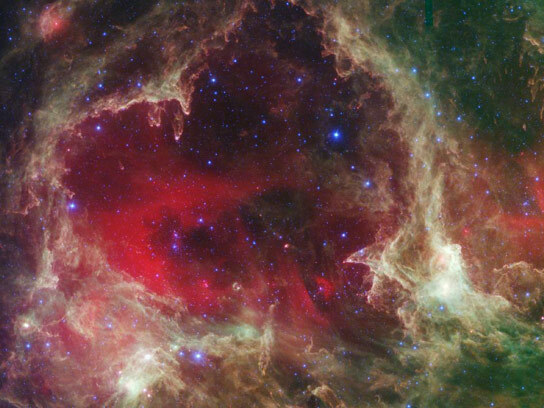 Be the first to comment on "Spitzer Views Star-Forming Region W5"